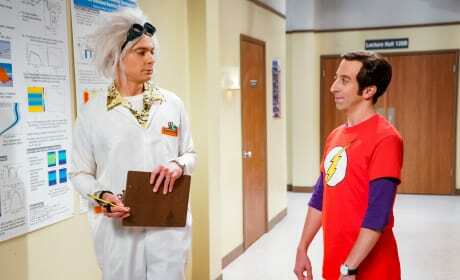 Sheldon and Wolowitz go head to head for Halloween on The Big Bang Theory. 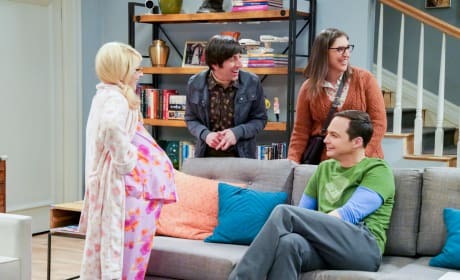 "The Imitation Perturbation" is the sixth episode of the show's 12th season. 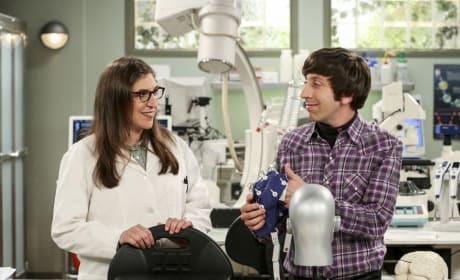 Amy and Sheldon try to figure out what the supposedly "perfect gift" was that Leonard and Penny gave them on The Big Bang Theory. 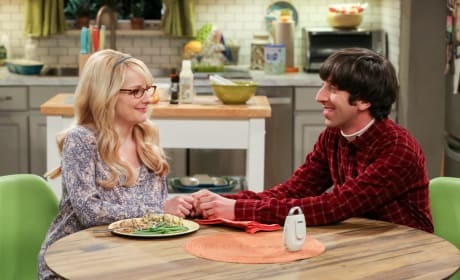 "The Wedding Gift Wormhole" is the second episode of the show's 12th season. 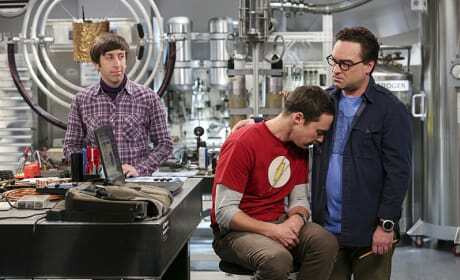 Howard and Leonard are furious with Sheldon when they learn what he's been up to on The Big Bang Theory. 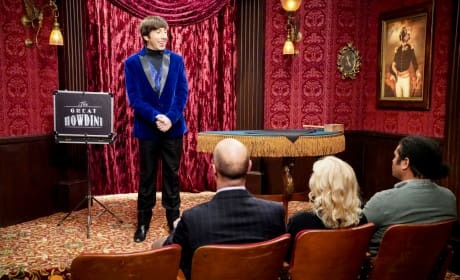 "The Tesla Recoil" is the eighth episode of the show's 11th season. 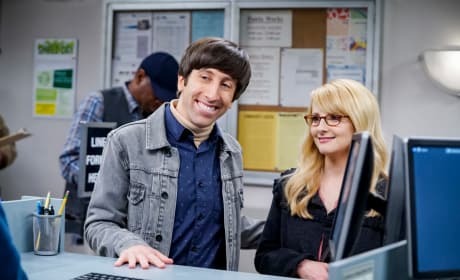 Amy and Howard collaborate on a project, much to the other's dismay on The Big Bang Theory. 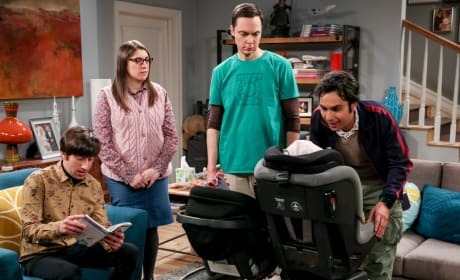 "The Collaboration Contamination" is the fifth episode of the show's 11th season. 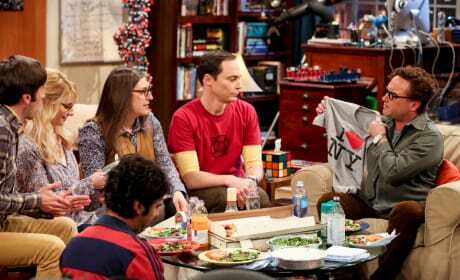 Sheldon tries an energy drink as the guys struggle to make a deadline on The Big Bang Theory. "The Dependence Transcendence" is the third episode of the show's tenth season. 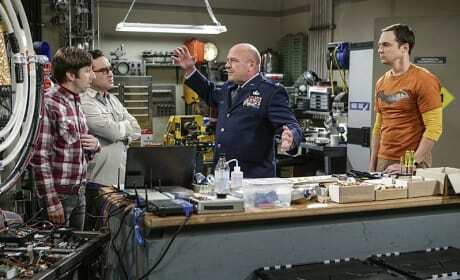 The Air Force comes calling about the guys' gyroscope invention on The Big Bang Theory. "The Military Miniaturization" is the second episode of the show's tenth season. 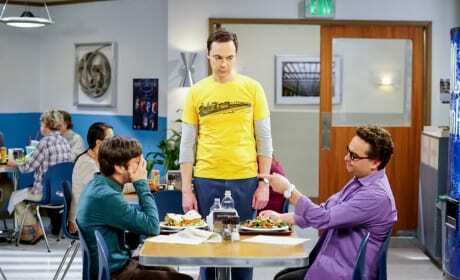 Koothrappali sells out Leonard and Wolowitz after they lie to their wives. "The Solder Excursion Diversion" is the 19th episode of the show's ninth season.